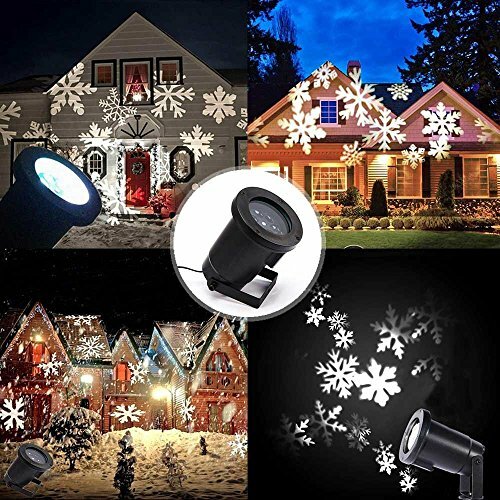 Snowflakes light projectors, projecting the falling snow patterns moving automatically onto the wall, perfects for Christmas Valentines Halloween holiday wedding and party. Durable aluminum material, long life span LED light projectors, beautiful bright LED lights to create a magical romantic fairy tale effect. Waterproof IP65,can be used indoor and outdoor, even use in the rain, but can't use in the heavy rain weather. Simple assembly and plug to play. Low power consumption, UL adaptor 12V DC, and 16.4 feet power cable with the spotlight, more flexible to use. Guarantee safety, the light gets approvel of CE and GS certification; Projection light is more energy-saving and safer than other lights. If you have any questions about this product by podofo, contact us by completing and submitting the form below. If you are looking for a specif part number, please include it with your message.